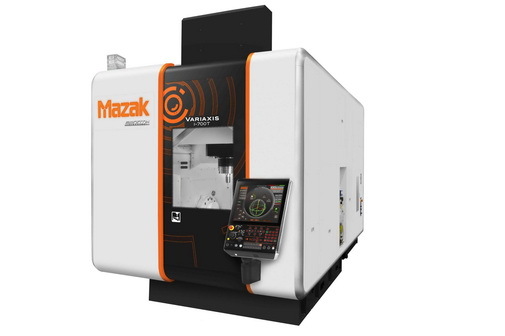 Mazak’s simultaneous 5-axis technology raises the limits on the types of part geometries you can machine. By empowering you to produce highly complex components in a single setup, our 5-axis machines unbridle the imaginations of your engineers and redefine your overall capabilities. The UD-400/5X, ultra-high precision, simultaneous 5-axis machining center, designed for the micro precision machining of dies and mold or medical equipment machining. 45,000 rpm high speed spindle and high damping capability thanks to rigid base and column design ensures exceptional surface finish together with high productivity. The VARIAXIS J-600 AM (Additive Manufacturing) is a hybrid multi-tasking machine which is equipped with metal deposition by wire arc technology. After completion of material deposition, parts can be finished machined in the same machine set up by using 5-axis machining capability.